CDT Audiophile grade BM-car specific direct fit easy upgrade subwoofers are suitable for BMW best selling models: 1 Series, 3 Series, 5 Series and so on. 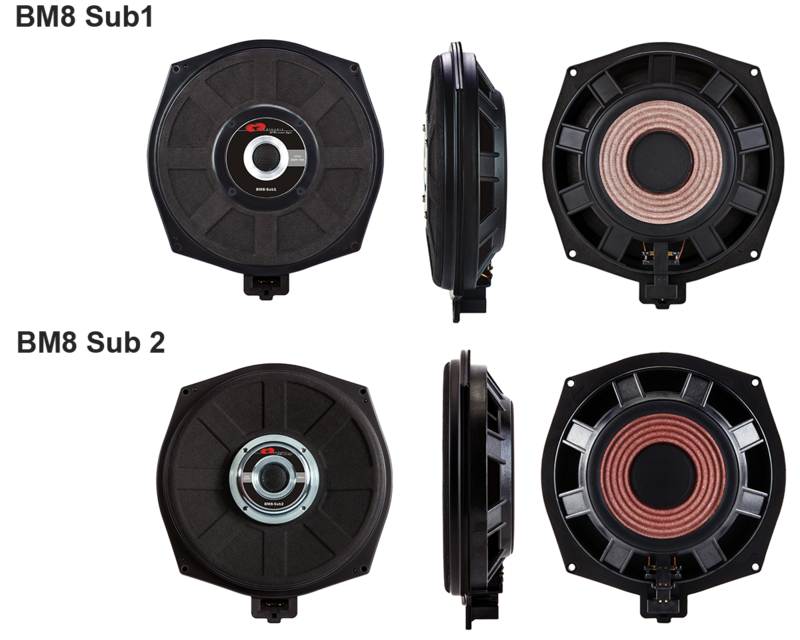 The subwoofers fit into the factory location and use the factory connectors, you will enjoy the strongly improved sound quality with the CDT Audio BMW subwoofer upgrade. Direct fit audio system for BMW without modification. CDT BM8-Sub1 is compatible with all BMW models that have the configuration “HiFi” or higher. To maximise the performance of this woofer, we are recommended to use 1*4 channel amplifiers or 2*2 channel amplifiers. This subwoofer can be installed in the followng car models (Under the front seat). CDT BM8-Sub2 is compatible with all BMW models that have the configuration “Stereo” or “Standard”. To maximise the performance of this woofer, we are recommended to use 1*4 channel amplifiers or 2*2Channel amplifiers.